Italy offers religious groups some of Europe’s most popular pilgrimage destinations. Every year millions of people flock to Italy to experience the food, wine, culture and beautiful coastal resorts. But Italy is also known for its religious history and is packed with religious pilgrimage sites. Home to the Pope, the country brims with opportunities for your religious group. Here are a few examples of prime destinations. Rome is the most well-known pilgrimage site in Italy, and for obvious reason. As home of the Pope and Catholic faith, Rome offers ample opportunities for pilgrims. At St. Peter’s Basilica, the largest church in the world, the Pope leads liturgies throughout the year, attracting audiences of 15,000 to over 80,000 people. Part of the Vatican City complex, the church is dedicated to St. Peter, one of Jesus’ apostles. Catholic tradition holds that this is his burial site. 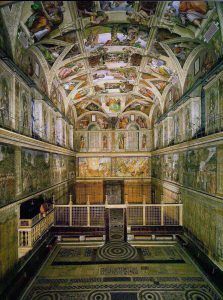 The Sistine Chapel, located inside the Apostolic Palace, houses Michelangelo’s famous ceiling artwork The Last Judgment. Basilica of St. Paul Outside the Walls is another popular pilgrimage site in Rome. The basilica is dedicated to the apostle St. Paul and houses his burial site. Other notable sites are the Basilica of St. John Lateran, Basilica of St. Mary Major, Basilica of St. Lawrence Outside the Walls, Basilica of the Holy Cross in Jerusalem and Sanctuary of Our Lady of Divine Love. She was blessed with the Stigmata of the Lord on her forehead when she was 60 years old and bore it until the day she died at age 76. Rita was canonized by Pope Leo XIII in 1990. Her feast day is celebrated on May 22. Visitors can view St. Rita’s body in the Basilica of St. Rita, where her body remains incorrupt. The Eucharistic Miracle of Cascia relics are also held at the Basilica of St. Rita. Assisi is home to both St. Francis and St. Clare. St. Francis of Assisi is best known as the patron saint of animals and the natural environment. Francis is recognized as one of the patron saints of Italy and is the founder of the Order of the Friars Minor, the Order of Saint Claire, the Third Order of the Saint Francis and the Custody of the Holy Land. He was canonized on July 16, 1228 by Pope Gregory IX. It has become a customary practice for churches to hold ceremonies to bless animals on his feast day of October 4. 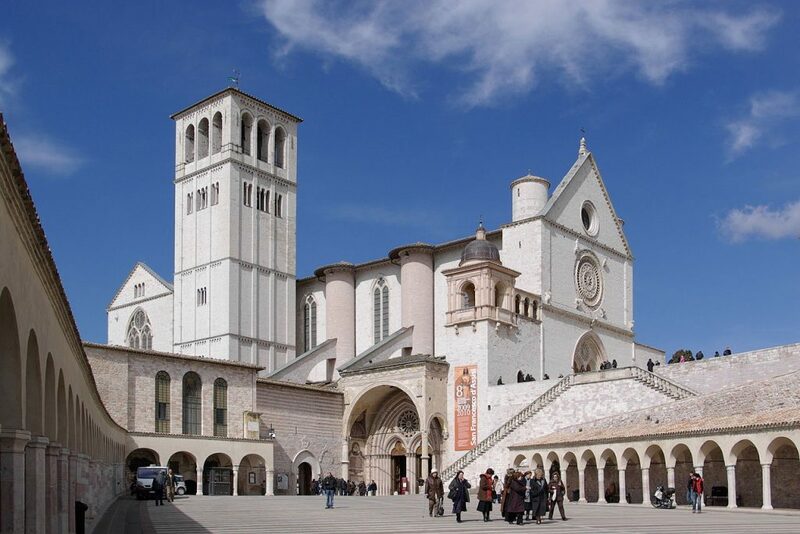 The enormous Basilica di San Francesco d’Assisi is revered as one of the most important pilgrimage sites in Italy. The basilica contains two churches, which are known as the Upper Church and the Lower Church. It also holds the tomb of St. Francis. St. Clare of Assisi was one of the first followers of St. Francis. St. Clare founded the Order of Poor Ladies and wrote their Rule of Life, the first set of monastic guidelines written by a woman. She was canonized on August 15, 1255 by Pope Alexander IV. Her designated feast day is August 12. The Basilica of Santa Chiara in Assisi is dedicated to St. Clare and houses her remains. Visitors can also pray in front of the crucifix that spoke to St. Francis in San Damiano in the Basilica of Santa Chiara. There are multiple pilgrimage sites where travelers can experience the history of St. Gemma Galgani. The most popular site is St. Gemma’s Sanctuary. This is where a Passionists Monastery is dedicated to her. St. Gemma’s tomb lies under the altar. Personal items of St. Gemma’s such as clothes, shoes and books are kept here as well. Next, visitors can stop at Casa Giannini. This is where Gemma lived the last four years of her life. Guests will be able to see places in the house where Gemma worshipped. 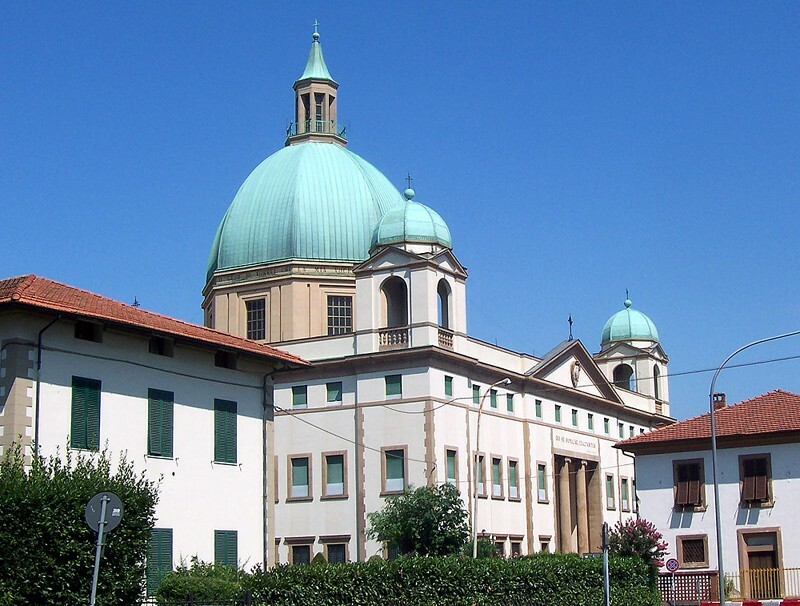 Just a short bus ride away, right outside of Lucca, is St. Gemma’s Birth House. Siena is famously the home of St. Catherine. Catherine had a great influence on the Catholic Church and was later declared a saint and a doctor of the Church. She was declared the patron saint of Italy, a titled shared with St. Francis of Assisi, in 1939. At the age of 21 Catherine experienced a “Mystical Marriage” with Jesus. Catherine devoted her life to helping the sick and poor. She became involved in politics and dedicated her life to spreading the word of God. The home of St. Catherine, where she was born in 1347, has been turned into the Sanctuary of St. Catherine in 1464 and is a popular place of pilgrimage to this day. 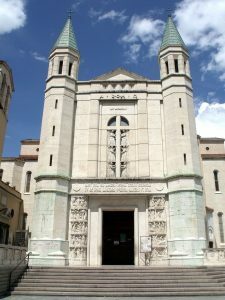 Nearby the sanctuary is Basilica San Domenico, where St. Catherine’s incorrupt head is kept on display. The rest of her body is kept in a tomb at Santa Maria Sopra Minerva in Rome. 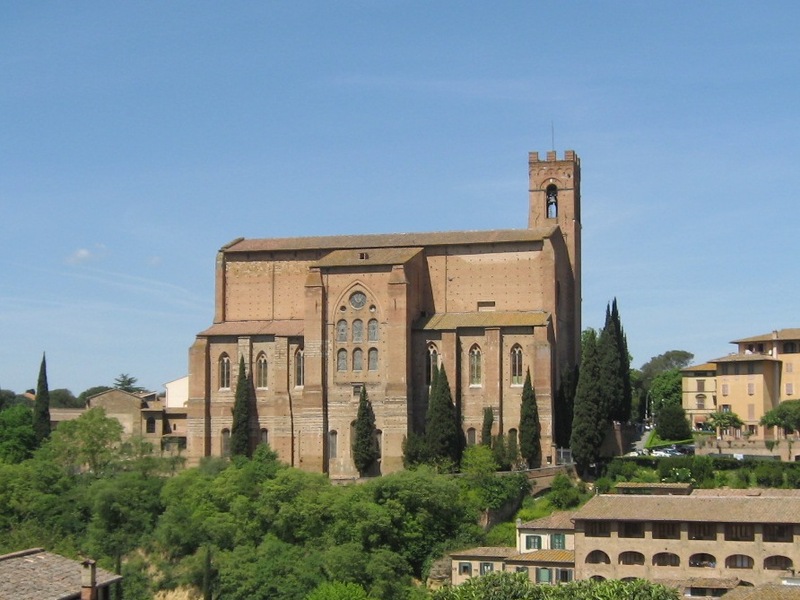 The city of Siena is also home to the Eucharistic Miracle of Siena. In 1730, a ciborium that contained consecrated hosts was stolen from the Church of St. Francis. After the theft was discovered, the celebration of the Feast of Assumption was stopped. The priests asked for prayers and the town was searched for the missing ciborium. A few days later, a parishioner spotted a bright light illuminating from a collection box. The missing hosts were found covered in dirt. Since the hosts were dirty, it was decided to let them decompose naturally. But since 1730 the hosts have remained fresh. They are still preserved in the Basilica of St. Francis in Siena. They are put on display to the public on the 17th of each month, the day they were discovered. Known for its gondolas and canals, Venice also holds significance in the Catholic Church. 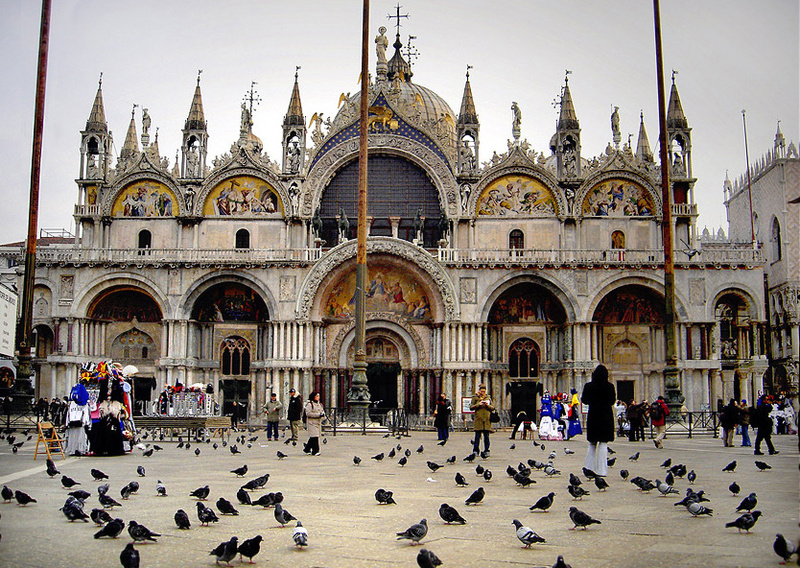 The city’s most popular church, St. Mark’s Basilica, lies on the Piazza San Marco. The body of St. Mark to whom the Gospel of Mark in the New Testament is attributed lies under the high altar. The upper part of the basilica is filled with beautiful mosaics using a background of gold glass tesserae, which creates a shimmer effect throughout the interior of the building. Other churches of Venice include Basilica Santa Maria della Salute and Basilica Santa Maria Gloriosa dei Frari. Both are dedicated to the Virgin Mary. Basilica Santa Maria della Salute has three altars that are surrounded by paintings depicting the life of the Virgin Mary. Santa Maria Gloriosa dei Frari is famous for its beautiful altar and works of art.